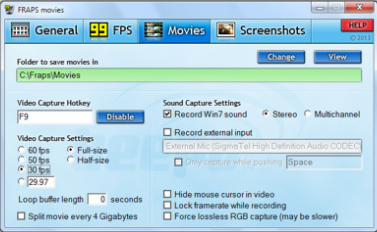 As we all know that there are several video recording software currently available in the market but if you want to record gameplay in HD then here are the best game recording software for Windows. Normally, gamer records their gameplay in order to upload it on YouTube or may be some other reason. So in order to perform t, is task there are various game recording software which are specifically created to record games. Since there are several software offering different features, you may get confused of which will be a perfect match for you. So below is the list of 8 best game recording software which will record your game clearly that too in high definition. 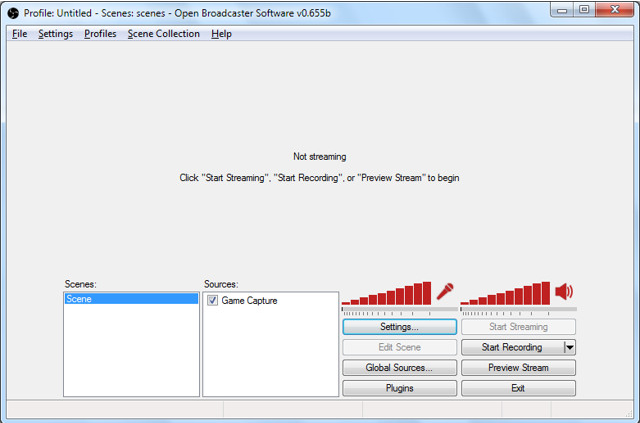 Open Broadcaster is an game recording software which will record our game in HD. 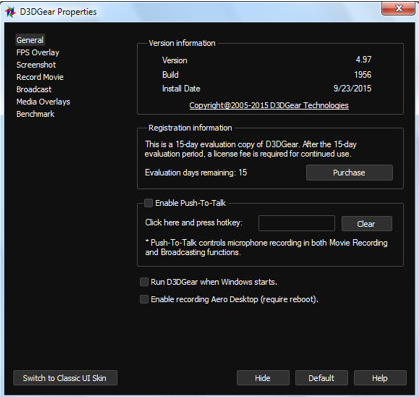 OBS is one of the most famous and commonly used tool to record games. OBS comes packed with quite interesting features which includes Picture-in-Picture mode, Push-to-Talk mode, Custom Watermarks and more. OBS has a user friendly interface and has the capability of recording in MP4 and FLV formats. This software allows you to live stream your video to YouTube, Hitbox etc. The most interesting thing about this software is that you do not have to pay a single penny to use this tool. OBS is completely free to use. 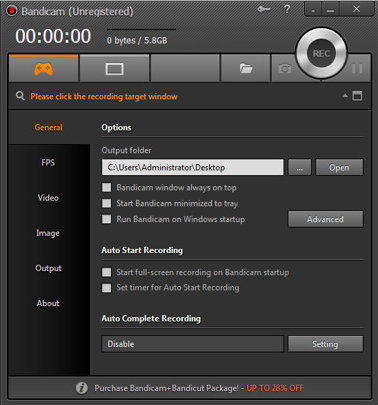 Bandicam is yet another famous game recording software which can record in 4K Ultra HD resolution. In spite of recording in such high definition, the size of the recorded video will be small in size because of it’s in built video compressor. Bandicam doesn’t allows you to live stream video but you can record video continuously for 24 hours. Once successfully recording the Gameplay, you can share it on YouTube in just one click. Bandicam is available in trial version and premium pack cost $39 for 1 licence and $59 for 2 licence. You can download Bandicam from here. D3DGear is a game recording software which has a user friendly UI. One of the main featue of this software is that it is extremely light and will not consume much space of your storage. It comes packed with pretty interesting features including in-built video compressor. This software allows you to live stream games on popular websites such as YouTube, Twitch and so on. D3DGear is available in 15 days free trail version, after that you need to pay an amount of $34.95 to buy it. You can download D3DGear from here. 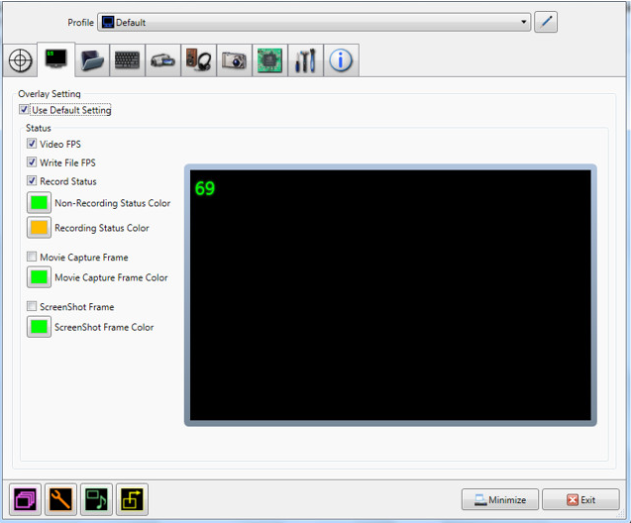 Fraps is also an game recording software similar to D3DGear. The special feature of this app is, it only weighs 2.3Mb in size thus it will not be heavy on your device and will not consume much space of your storage. Fraps offers some interesting and unique features when compared to other game recording tools. Some features include Benchmark tool, capability of capturing videos at 7680 x 4800 resolution with custom frames and so on. Fraps is available for free with limited features, if you want the full version of Fraps then it will cost you $37. 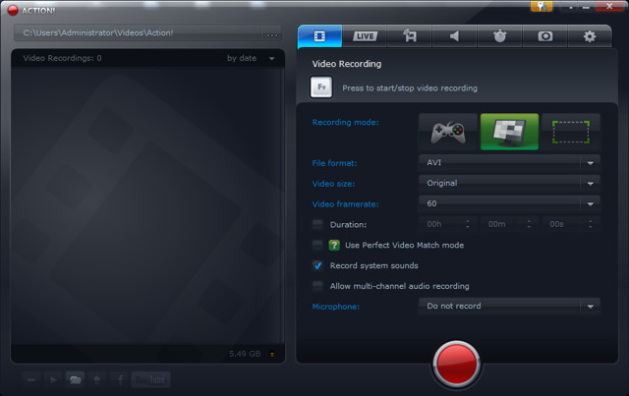 If you are looking for a paid game recorder with loads of interesting features then this software is recommendable. Action is an game recorder app which is available for $29.95 and $49.95 for home use and commercial use respectively. This software comes packed with lots of different and cool features such as video recording at 4K resolution, allows you to live stream, allows you to share recorded videos on YouTube, Time-Shift mode and the list continues. If you are ready to pay the fixed sum of amount then this software may be the value for money. You can download Action from here. 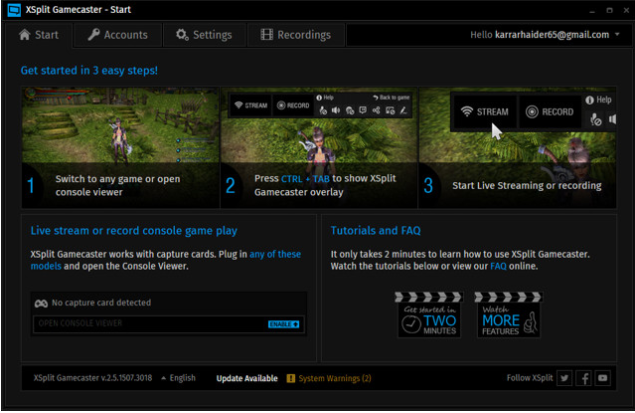 XSplit Gamecaster is an game recorder mainly created for the direct streaming. Using this software you can stream your Gameplay in various popular websites such as YouTube, Twitch, Hitbox and so on. Although you can record games and save it to your PC. It has a simple, light and user friendly UI to accomplish the task successfully. Other features include picture-in-picture mode, social media integration, customized Watermarks and so on. XSplit Gamecaster is available in free version with limited features, full version is available in Personal subscription and Premium subscription for $4.95 and $8.95 per month respectively. You can download XSplit Gamecaster from here. 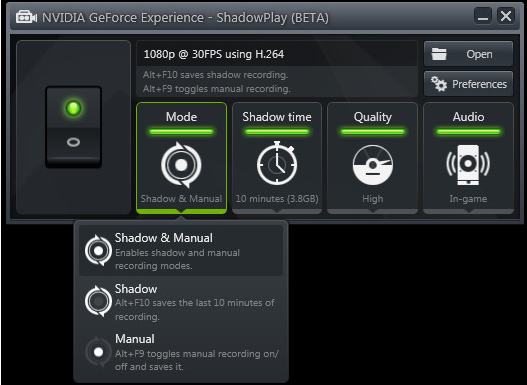 ShadowPlay is yet another game recording software officially developed by Nividia Geforce Inc. In order to run this software you need to have Geforce GTX 600 and above. This software uses your device GPU instead of using CPU in order to reduce burden on your CPU. Comes packed with pretty much good enough features such as video capturing at 4K resolution, allows you to stream gameplays online, share your recorded gameplay videos, smart shadow mode and so on. Since this software is completely free to use, you can give it a try. You can download ShadowPlay from here. If you are looking for an game recording software which may offer good amount of features for free then this software will be a good choice for you. Dxtory comes with loads of features such as Robust customization options, allows you to set frame per second from 10 to 120, specif video codec and so on. Dxtory is available for free with some interesting features but it is a limited version and if you want the full version then you can buy it for $32. You can download Dxtory from here. So that’s it for now! 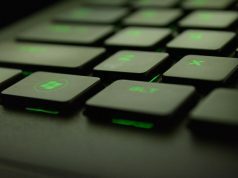 These were the list of 8 best game recording software available for your Windows PC, which will make your gameplay recording task a breeze. Feel free to tell us which is your favourite game recording software and if you have any doubts or suggestions do let us know in the comments.